Yogi Berra said, “It’s tough to make predictions – especially about the future.” Last week’s ruling in the Philippine-China arbitral tribunal, however, sheds light on the likely outcome of the China-Philippine arbitration case and illuminates an end game to the crisis. 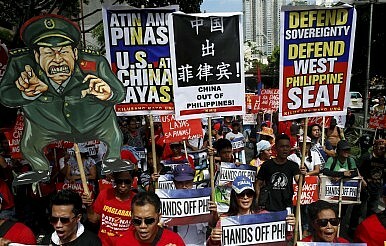 In short, the tribunal’s decision to determine the legal entitlements of ten disputed features in the South China Sea significantly weakens China’s hand and benefits the Philippines and the other claimant states. The merits decision will not decide which states ultimately have sovereignty over any of the disputed features, but the tribunal’s decision on the merits likely will recognize that the small reefs and islands at issue are entitled to either no or perhaps very small maritime zones. Having lost on the issue of maritime zone entitlements at the jurisdictional phase of the arbitration, China is now set to lose on the issue on the merits due to the geologic and geographic facts of the contested features. The natural and physical composition and verticality of the features, and their situational adjacency with large territories (namely, the Philippine islands of Luzon and Palawan), means that the tribunal likely will issue a decision next year that will deeply undermine China’s legal claims and strategic position. The tribunal also did not accept for determination whether China has unlawfully failed to prevent its nationals and vessels from exploiting Philippine resources, or whether China’s occupation of Mischief Reef violates article 60 of UNCLOS concerning coastal state authority over artificial islands in the EEZ. The tribunal similarly stayed away from military issues, declining to review the efforts by China to disrupt rotation and replenishment of the eight Philippine Marines stationed on the BRP Sierra Madre at Second Thomas Shoal. Unsurprisingly, the tribunal agreed to consider whether China’s island-construction campaign is inconsistent with its obligations to protect and preserve the marine environment under article 192* of UNCLOS. The tribunal is likely to declare that China should have conducted an environmental impact assessment of its activities. In accordance with the Malaysia v. Singapore case No. 12 at the International Tribunal for the Law of the Sea, the tribunal will say that China should have engaged and consulted in advance with nearby affected states. More importantly, however, the tribunal will decide maritime zone entitlements under UNCLOS to ten features: Scarborough Shoal, Mischief Reef, Second Thomas Shoal, Subi Reef, Gaven Reef, McKenan Reef, Hughes Reef, Johnson Reef, Cuarteron Reef, and Fiery Cross Reef. When the Permanent Court of Arbitration examines whether these features generate a territorial sea, EEZ, and continental shelf, they will adhere to the legal standard of article 121 of UNCLOS and, importantly, a progeny of international case law. This analysis suggests how the tribunal will come out on the merits in light of these legal authorities – not just UNCLOS, but the prior decisions of the International Court of Justice and the International Tribunal for the Law of the Sea. Fiery Cross Reef, Cuarteron Reef, and Johnson Reef, all occupied by China, likely will be found to be islands that cannot sustain human habitation or an economic life of their own. These features will not be awarded an EEZ. Fiery Cross Reef is, in its natural state, below water at high tide and may be a low-tide elevation, or at least no more than a rock with a 12 nm territorial sea. China has expanded the feature with 2.7 million square meters of “reclaimed” land into a sprawling complex with a helipad, harborworks, and a 3,000 meter airstrip. Cuarteron Reef on the Western side of the Spratly Islands is a coral rock outcropping that China has expanded with more than 250,000 square meters of “reclaimed” land. Similarly, China has added 109,000 square meters of “reclaimed” land to build up Johnson Reef in the northwest corner of the Spratly Islands. Like Fiery Cross Reef, Johnson Reef may be considered either a low-tide elevation or, at most, a rock that cannot sustain human habitation and lacking an EEZ. If asked, the tribunal likely would be generous and consider both rocks, but remember that the Philippines only asked whether the features are entitled to an EEZ. If the tribunal simply answers in the negative, it may have no compulsion to go further and determine if the features generate a territorial sea. The tribunal will not consider sovereignty over these three features, yet since China has occupied them, the tribunal’s findings that they are not entitled to an EEZ will pave the way for China to declare at most a territorial sea around them. That is the end of the good news for Beijing, however. Scarborough Shoal is comprised of rocks that form a horseshoe lagoon. The feature, which sits just over 100 nm from Subic Bay in the Philippines, juts out of the water less than two meters at high tide. The tribunal likely will determine Scarborough Shoal is a rock with a 12 nautical mile territorial sea. China does not occupy Scarborough Shoal, but controls access to the lagoon, having forced Philippine fishermen from their historic fishing grounds. China’s control of access to the feature is dependent upon coercive law enforcement and militia fishing vessel operations, including ramming and shouldering Philippine ships, and harassment of Philippine fishermen. The Philippines has specifically requested the tribunal to find that Chinese law enforcement tactics around Scarborough Shoal are in violation of UNCLOS, and the International Regulations for the Prevention of Collisions at Sea (COLREGS). The COLREGS apply to private commercial ships and government vessels, including warships, and reflect one of the most fundamental norms of good order at sea. My view is that the tribunal will find for the Philippines on this issue, and such a legal holding will make China more cautious in employing its favorite method of maritime coercion in the gray zone. The finding also frustrates China’s intentions to employ massive “supercutters” capable of ramming and sinking the largest naval craft of other states in the region. Such a result also may help stymie China on conversion of Scarborough Shoal into another massive artificial island. The tribunal will accord maritime zone entitlements to features based only on their natural state. Although the natural state of some of the features is unclear, and such determination made more difficult by China’s industrial-scale island manufacturing, there is ample data on which to base a decision. Only naturally formed islands above water at high tide generate a territorial sea, and only those features that can sustain human habitation or an economic life of their own may under article 121 of UNCLOS generate an EEZ and continental shelf. While at least one feature in the South China Sea may meet this standard, namely Itu Aba, which is occupied by Taiwan, the tribunal is likely to find that none of the features at issue do. The implications for this likely outcome are enormous. A small rock generates a territorial sea that is 452 square nautical miles in area, whereas a rock that can sustain human habitation or an economic life of its own generates a territorial sea, as well as a vast EEZ with a combined area subject to coastal state sovereign rights and jurisdiction of 125,664 square nautical miles. Such a feature also may generate an extended continental shelf beyond 200 nm. Thus, the costs to China in “losing” an EEZ are enormous, whereas the surrounding waters will be considered Philippine EEZ generated from Luzon and Palawan. Second Thomas Shoal, also known as Ayungin Shoal in the Philippines, is a low-tide elevation located 105 nm west of Palawan in the Philippine EEZ. The Philippines occupies the shoal from the vantage of a grounded, dilapidated warship, the BRP Sierra Madre. The eight Philippine Marines aboard the warship have two factors, however, that play in their favor. First, they are covered under article V of the Philippine-U.S. Mutual Defense Treaty. This tripwire gives China considerable pause. Second, the recent U.S. freedom of navigation (FON) operation within 12 nautical miles of Subi Reef furthers American involvement in the region, and makes U.S. Navy replenishment of the marines on the BRP Sierra Madre more likely. If that occurs, any interference with the U.S. mission to provision the outpost may be considered a demonstration of hostile intent under U.S. standing rules of engagement. China occupies Gaven Reef, Hughes Reef, McKennan Reef, Mischief Reef, and Subi Reef. Gaven Reef is a two-meter-high sand dune that China has supplemented with 136,000 square meters of “reclaimed” land. Hughes Reef is a low-tide elevation that China has built up with 76,000 square meters of “reclaimed” land. McKennan Reef, near Hughes Reef, is also occupied by China, which has begun to develop the reef into an artificial island. Mischief Reef is a low-tide elevation that was seized from the Philippines by China in 1995, and since 2014 has been converted into a behemoth artificial island with more than 5.6 million square meters of “reclaimed” land. The feature lies in the Philippine EEZ, only 129 nautical miles from Palawan Island. Subi Reef, seized by China in 1988, is another low-tide elevation. The tribunal will award no maritime zones to the feature, which China has expanded with nearly 4 million square meters of “reclaimed” land. This analysis is summarized in the accompanying table. Similarly, in the Case of Alleged Violations of Sovereign Rights and Maritime Spaces in the Caribbean Sea (Nicaragua v. Colombia), the International Court of Justice compared the lengthy mainland coast of Nicaragua against the tiny natural coastline of isolated small mid-ocean features. Colombia’s Serrana and Quitasueño Islands were enclaved within 12 nautical mile territorial seas entirely surrounded and enclosed by Nicaragua’s EEZ. When the Permanent Court of Arbitration applies these precedents, the benefits inure to the Philippines, since Manila, unlike China, enjoys vast territorial sea, EEZ and continental shelf entitlements generated by very large islands with extensive natural coasts on the South China Sea, namely Luzon, Mindoro, and Palawan. Thus, the tribunal likely will agree with the Philippines and find that none of the features – and especially those now occupied by China – are entitled to an EEZ or a continental shelf. China’s seizure, occupation and island construction on these remote disassociated, mid-ocean features will be revealed as pyrrhic, because their legal entitlements will be so meager compared with the monumental reputational costs incurred. This analysis also suggests that the tribunal will find that the six other features specifically referred to in the Philippine memorial will be determined to be low-tide elevations. The Philippines occupies one of these features, and China occupies five of them. They are all, however, located in the Philippine EEZ, and therefore revert within Manila’s sovereign resource rights and jurisdiction once they are determined by the tribunal to be mere low-tide elevations. James Kraska is Howard S. Levie Professor of International Law at the Stockton Center for the Study of International Law, U.S. Naval War College and Distinguished Fellow, Law of the Sea Institute, University of California at Berkeley School of Law.